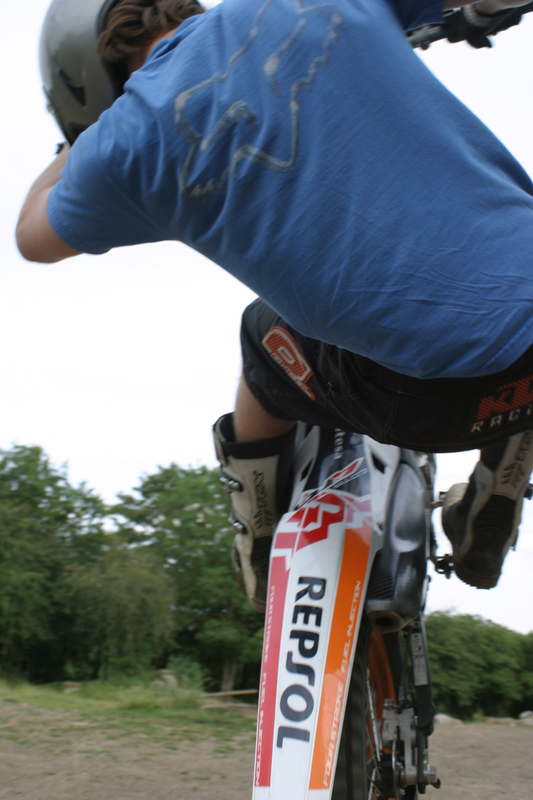 Wheelies. We all bloody love them and, for the most part, we’d all like to be better at them. Now, the way to get better at something is to keep practicing it. Again and again and again. But, to make your practice particularly effective and get the real improvements we’re all after, you have to overstep the mark time and time again. The trouble with over-stepping the wheelie mark on, say, a Triumph Daytona 675 is that if you don’t manage to catch it on the back brake, there’ll be a big bill waiting for you. Not so good. Enter the Montesa. The beauty of learning to wheelie the Cota is that, when you overcook it and go past the balance point, you can simply grab the clutch, step off the back and wait for the front wheel to crash back to the ground. Easy. Worst case, you fall on your bum, get muddy, perhaps bruised if you’re really unlucky, and leave the bike to its own devices. Being inherently clever, trials bikes will find their own way to stop and fall over, perhaps at the expense of a lever or rear mudguard, but never anything terminal. All that development and technology and this is all we want to do with it. 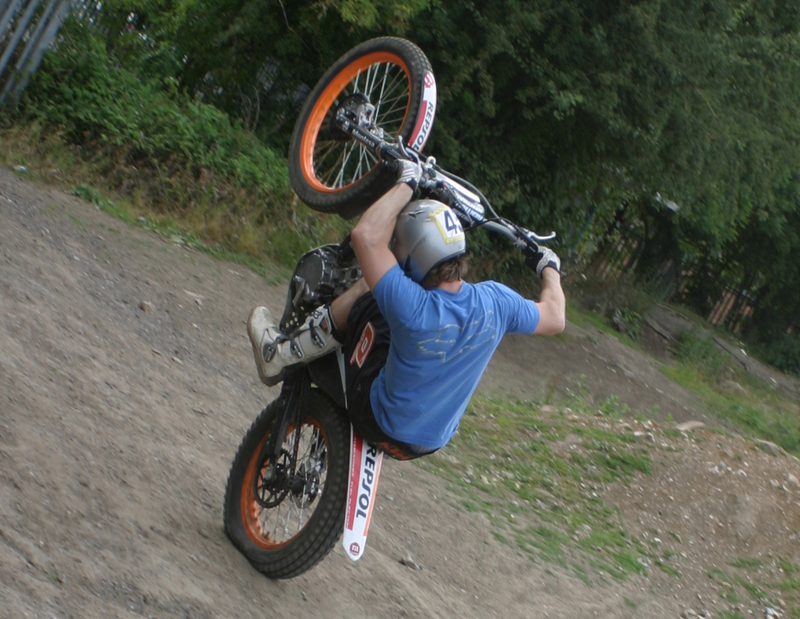 Wheelies: Awesome. Seconds before impact. I now have a lens-shaped bruise on my spine.